Ben and Jerry’s ice cream company has collaborated with blockchain startup Poseidon to offset the carbon associated with every scoop of ice cream, by using blockchain to finance forest conservation. Every product has some sort of associated carbon cost, whether that comes from production, transportation, or usage. Ben and Jerry’s has estimated the amount of carbon generated from each tub of ice cream sold at their Scoop Shop in London, and is working with blockchain startup Poseidon to offset that cost by financing forestry conservation in threatened areas of tropical forests. Ben and Jerry’s has been purchasing carbon credits to offset their carbon emissions at a company level for years, but this is largely invisible to consumers, who cannot currently participate in the carbon market and often are unaware of corporate sustainability strategies. By making the cost visible to consumers, Ben and Jerry’s and Poseidon hope to bring the invisible carbon cost to the minds of consumers. When a transaction is made, Ben and Jerry’s buy a small amount of Poseidon’s cryptocurrency, which is then used to fund forest conservation projects. It’s the first real-world example of trading carbon credits at the retail level, powered by blockchain. 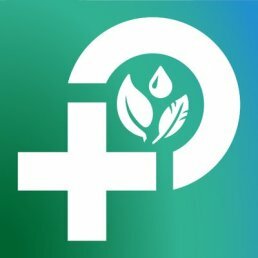 Following on from this pilot, Poseidon aims to launch an app that will facilitate micro-payments of their cryptocurrency directly to forest conservation projects, and customers will be able to see exactly which project they are helping to fund, utilising blockchain’s traceability properties. They have raised €2.1 million so far and will launch a second round of fundraising in 2019. Land use change and deforestation associated with agriculture is responsible for around one quarter of global greenhouse gas emissions. Schemes like the UN’s Reducing Emissions from Deforestation and forest Degradation (REDD+) aim to reduce these effects by promoting sustainable and climate smart agriculture and creating a global carbon market. However to date, participating in these initiatives has been restricted to large multinational companies and governments. Blockchain can increase access and participation in these initiatives by connecting everyday purchases with forest conservation, in turn helping to reduce carbon emissions. The collaboration is working to reduce emissions from deforestation by using blockchain to connect everyday consumption choices with forest conservation projects. 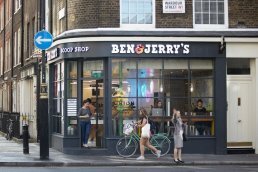 In three weeks, Ben and Jerry’s helped to protect over 1,000 trees through their project in the London store. 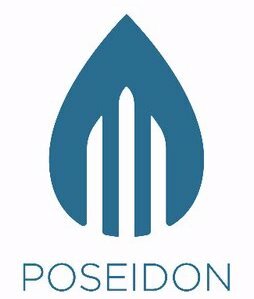 Poseidon is a not-for-profit blockchain company aiming to connect consumers with the carbon market. Ben and Jerry’s is an ice cream company with ambitious climate targets. The company aims to reduce their absolute carbon emissions by 80% by 2020.